Track and prioritise issues. Eliminate defects. Discounts are available for large numbers of users of the software. The cost for a 51 person Site license, is $365 per month for the Essential, through to $533 per month for the Advanced version. Paid annually. Use risk to prioritise work and assist in managing resources. 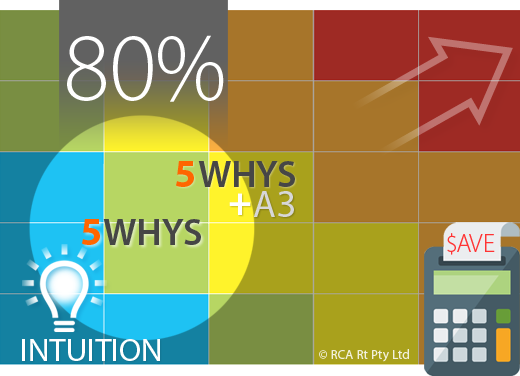 Use simple, fast and low cost 5WHYS problem solving process within RCA2GO software for low risk issues. Practice shows low-cost 5WHYS and 5WHYS+A3 (also called informal and formal 5WHYS) may help solve 80% of everyday issues. If the issue has not been resolved by the 5WHYS, then escalate it to a full Root Cause Analysis (RCA), if justified by the risk. 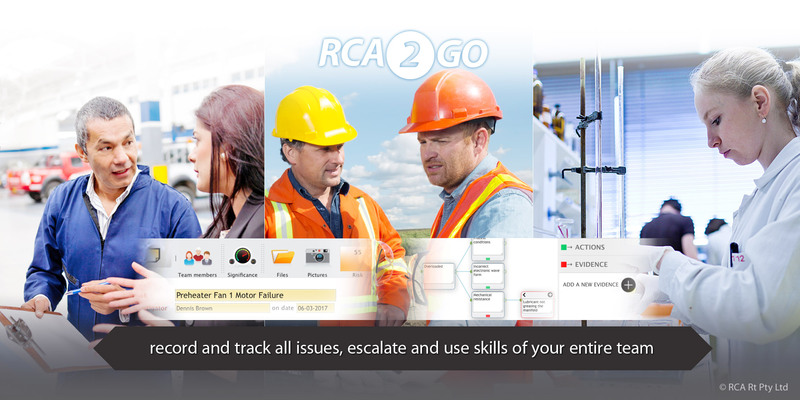 Our 3-Phase, 12STEPS RCA is industry leading Root Cause Analysis. 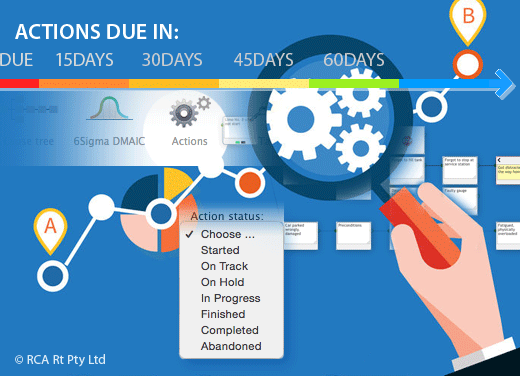 Use the Action Management within RCA2GO software to keep track of what tasks have been assigned, and how they are progressing. See progress for each action, filter and sort actions by persons, causes, seven different statuses and five different milestones. Colour coding by due date (from Overdue to 90+ Days) in one glance tells which actions need immediate attention and who is responsible. Record and track all issues, however small, escalate and use skills of your entire team. If the full Root Cause Analysis (RCA) is justified, then our 3-Phase Focus, Find Causes and Fix Forever RCA process effectively engages team members and all stakeholders in a step-by-step process through to solution of the problem, selection of the best countermeasure, implementation and verification of the success of the change.